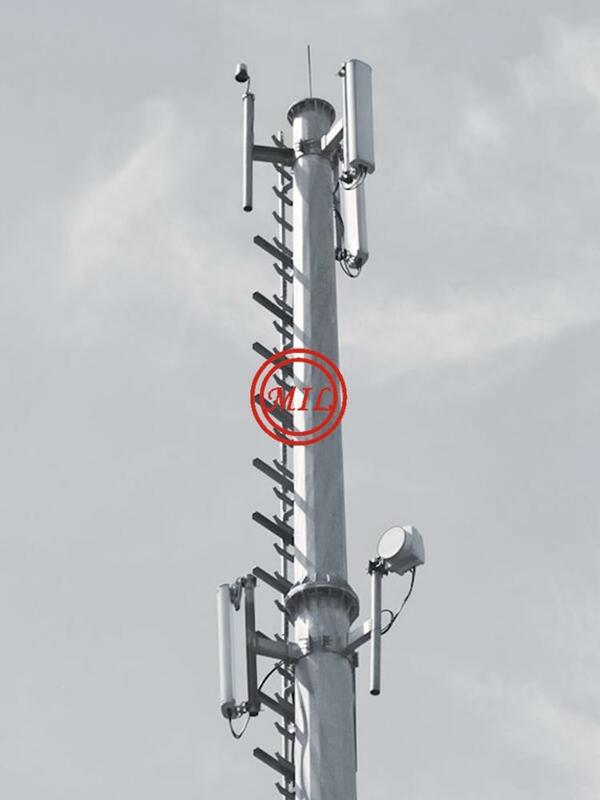 •TIA/EIA–222-F and TIA/EIA–222-G: Structural standards for steel antenna poles and antenna supporting structures. 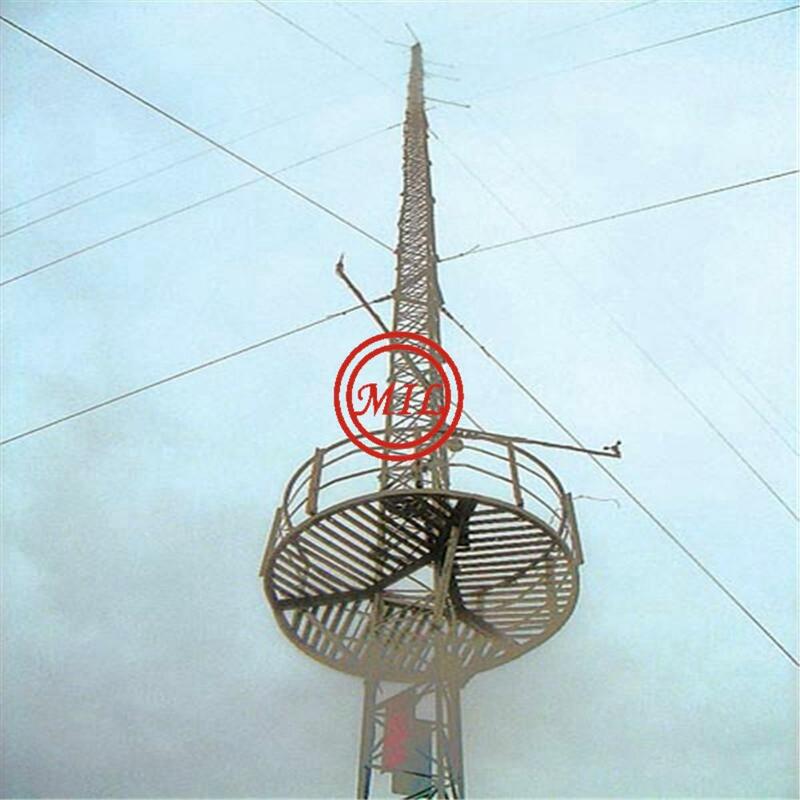 •DIN 4131: Antenna towers – Monopoles. For tendering purpose poles are classified in six main groups. 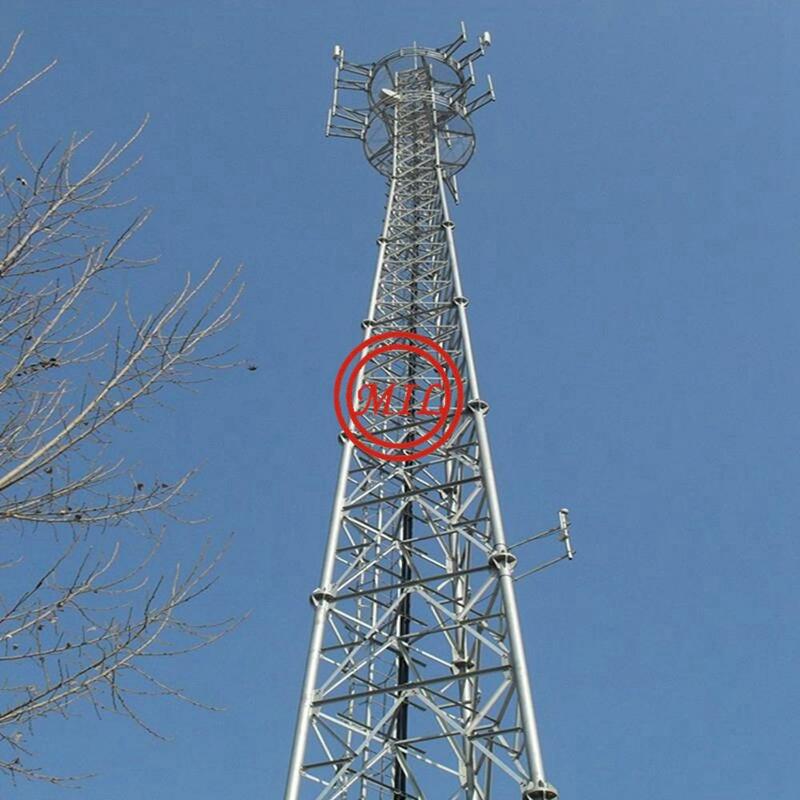 This distinction is based on different antenna load, expressed in “Equivalent Antenna Area”, EAA*. ** Variable length intervals are used in production of Monopoles. 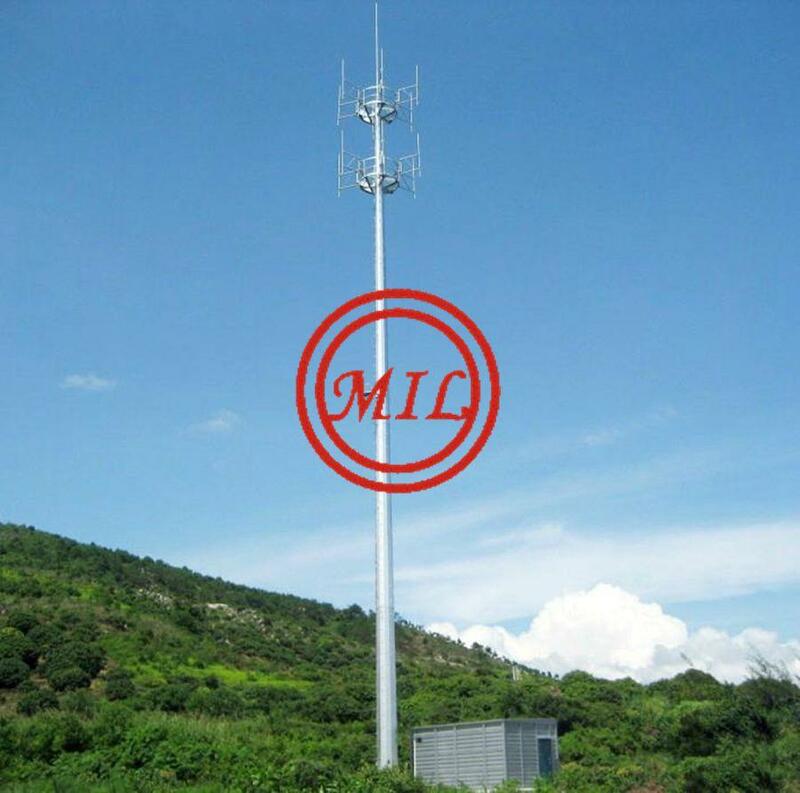 5m for SS Towers up to 50m, and 10m for SS towers from 60m or more heights. Other heights are available upon request. Computer-aided plasma and oxycutting allow instant changes to be made to the dimensional characteristics of shaft trapezium, base plate and flange plate. Sheets for shafts are selected according to galvanization standard EN ISO 1461, ASTM A 123, ASTMA A 153. Certification data concerning mechanical and chemical sheet characteristics may be provided upon request. 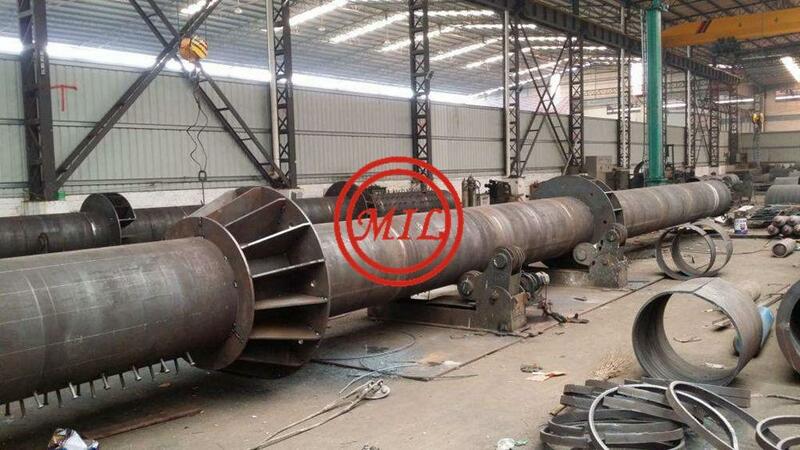 Plates are bent to realize shafts with a maximum length 13 m and 6, 8, 12, 16, 18 etc. sides. Longitudinal welds in steel pole sections should be free of cracks and undercutting and are performed with automatic processes. Quality of welds are assured by visual inspection. 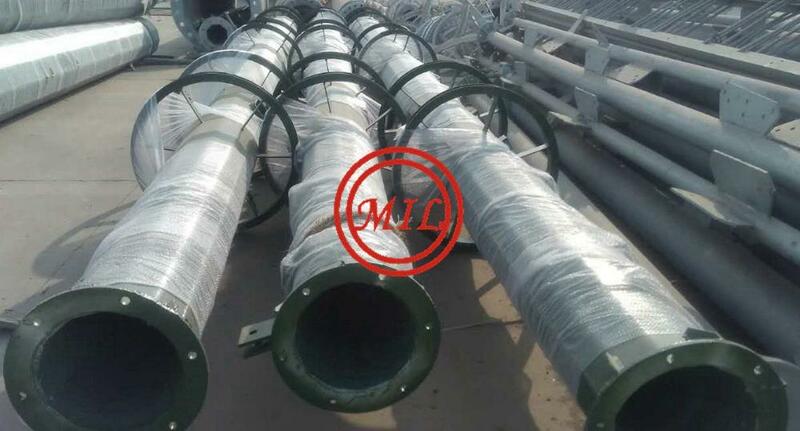 Longitudinal welds in the female section of the lap splice which should have 100% penetration, have their quality being assured by ultrasonic inspection. 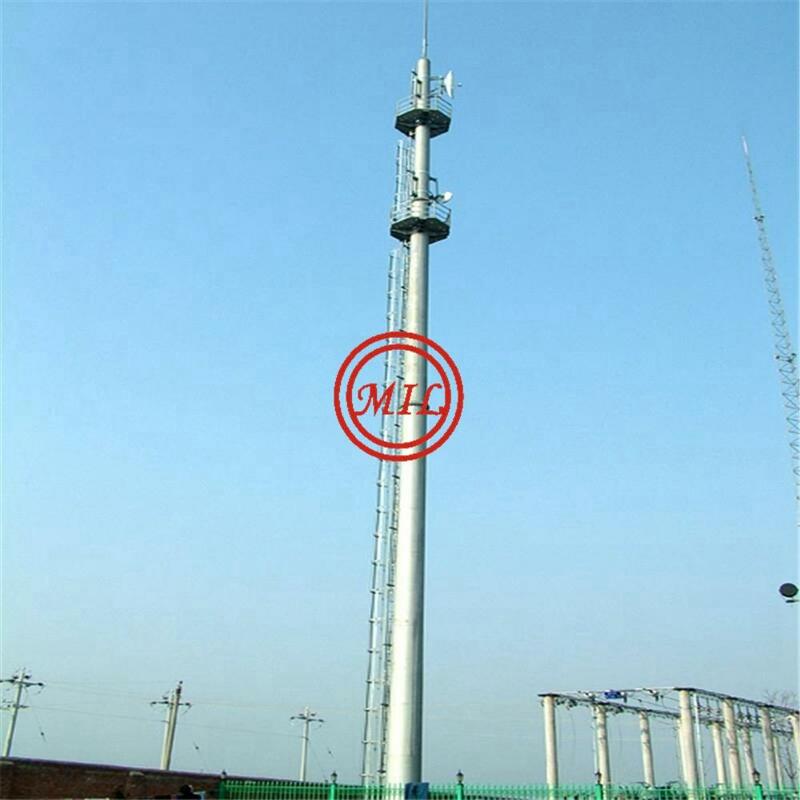 For monopole masts: The base plate telescopes the pole shaft and is circumferentially welded at top and bottom. The pole shaft is posed onto the base plate and welded fully penetrating with a back up bar. 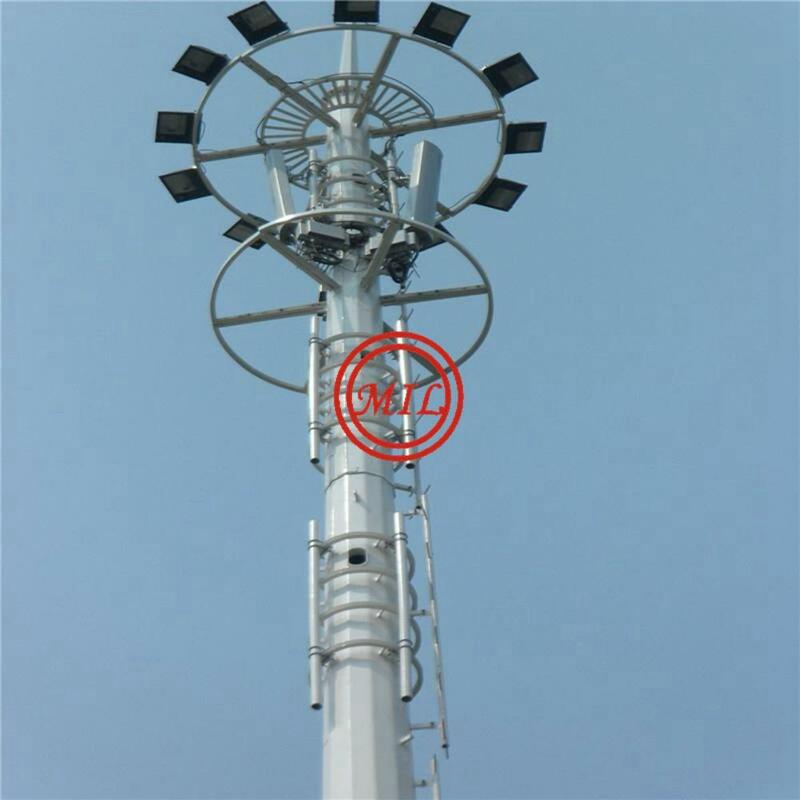 The quality of this welding is assured by ultrasonic inspection. All handling, packing, storage and shipment of the steel work are carried out diligently and carefully to reduce the risk of damage to the articles and zinc coating to a minimum. The steel work is packed in bundles containing articles in accordance with the prepared packing lists. The parcels are bundled with polyester bands of suitable strength which are evenly distributed along the length of the parcels. The galvanized items are stacked such that water and moisture can run off them and the surfaces are able to dry out. 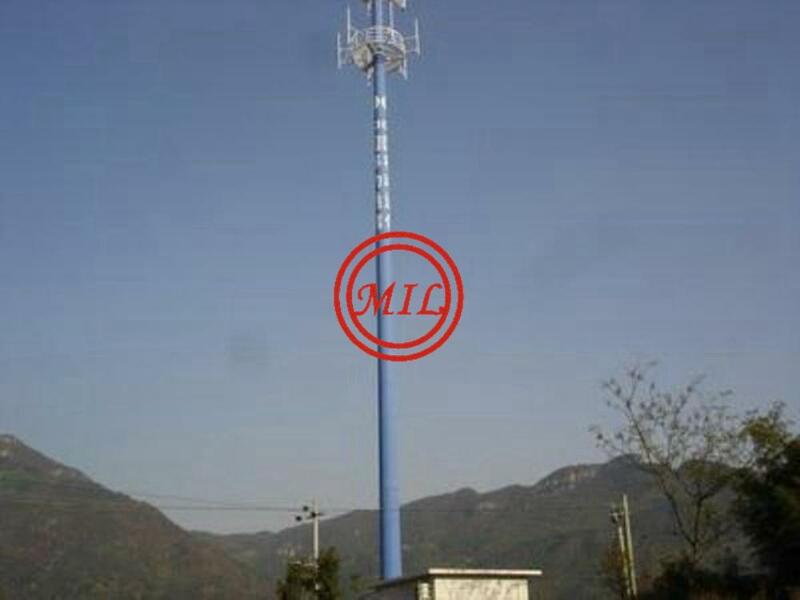 •Lightning rod at top of the structure, made of galvanized steel. 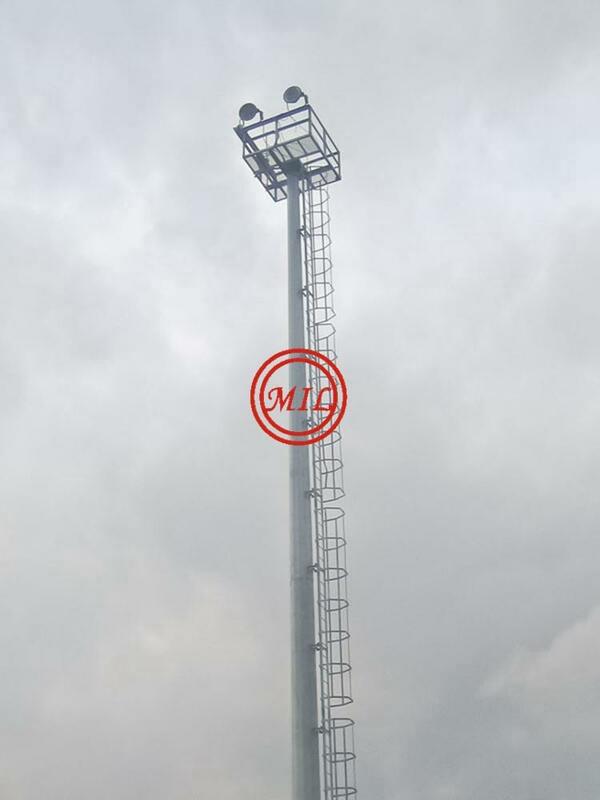 Down conductor can be used as per specification. A lattice type steel structure, with three or four main legs, with horizontal and diagonal bracings, kept in position by guy wires. The structure is comprised of either square or triangular cross sections. All connections are bolted; base plates under main legs are shop welded. Materials are of hot dipped galvanized angular or tubular steel sections. Guy wires are of galvanized steel strands. 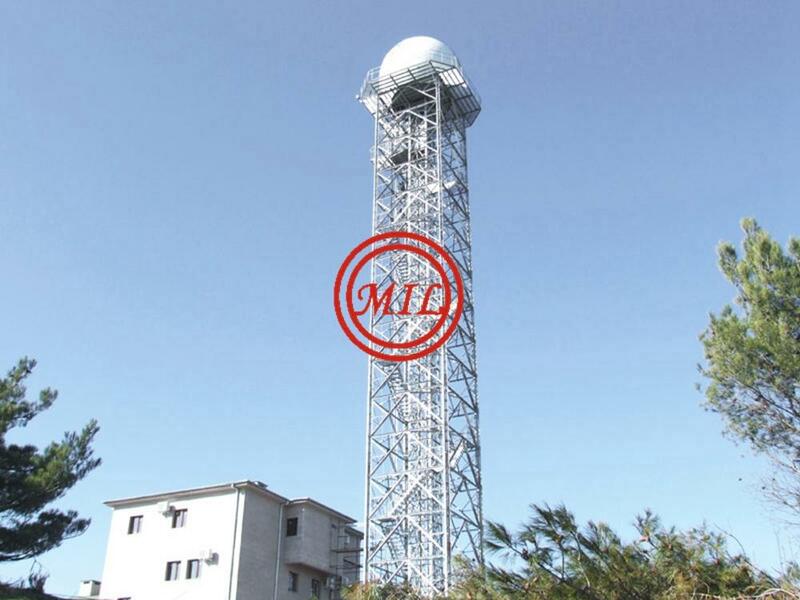 Monopoles are polygonal sectioned and hot dip galvanized hollow steel structures. All accessories for on site assembly are bolted, consequent body sections are either slip jointed or bolted, base plates, flanges and accessories are shop welded to the sections. 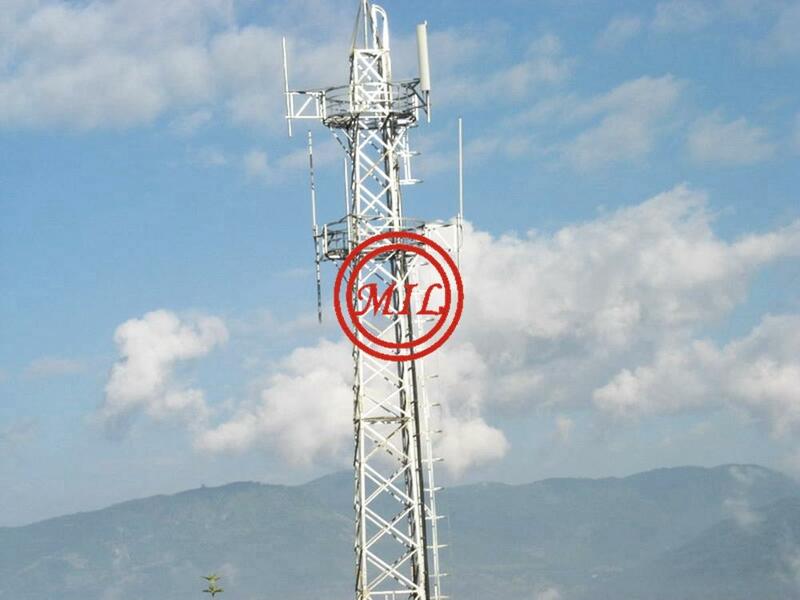 Lighting and communication monopole with antenna pipe mounts. 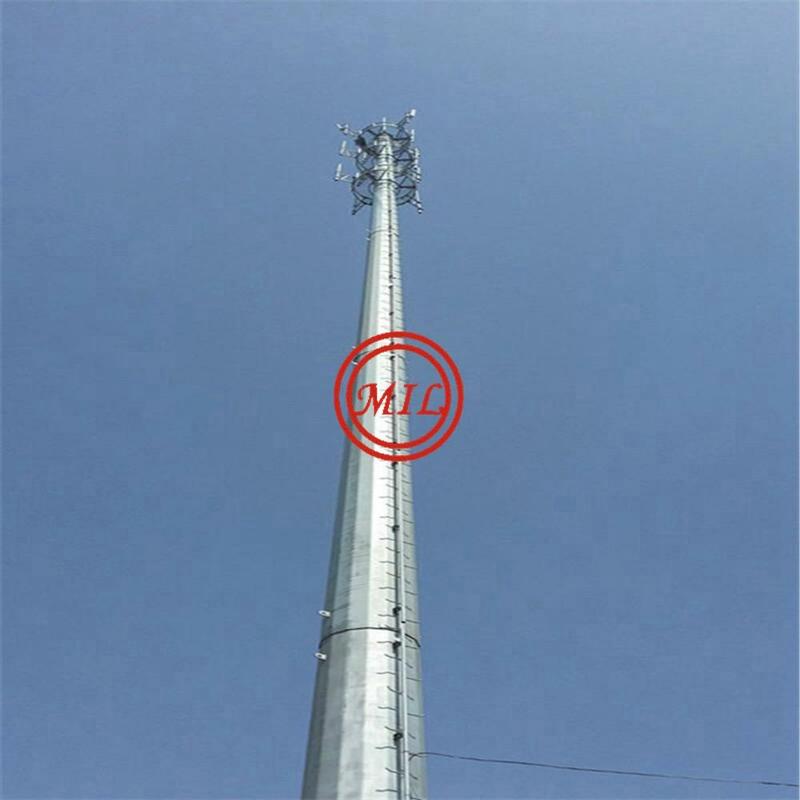 A triangular rotatable antenna platform which mounts to the top of monopoles accommodates three ship antennas at its corners at 120º. The platform is easily rotatable and secured at any desired direction. Earthing equipments and lightning conductor. Poles studies and realizes all kinds of cable supports. 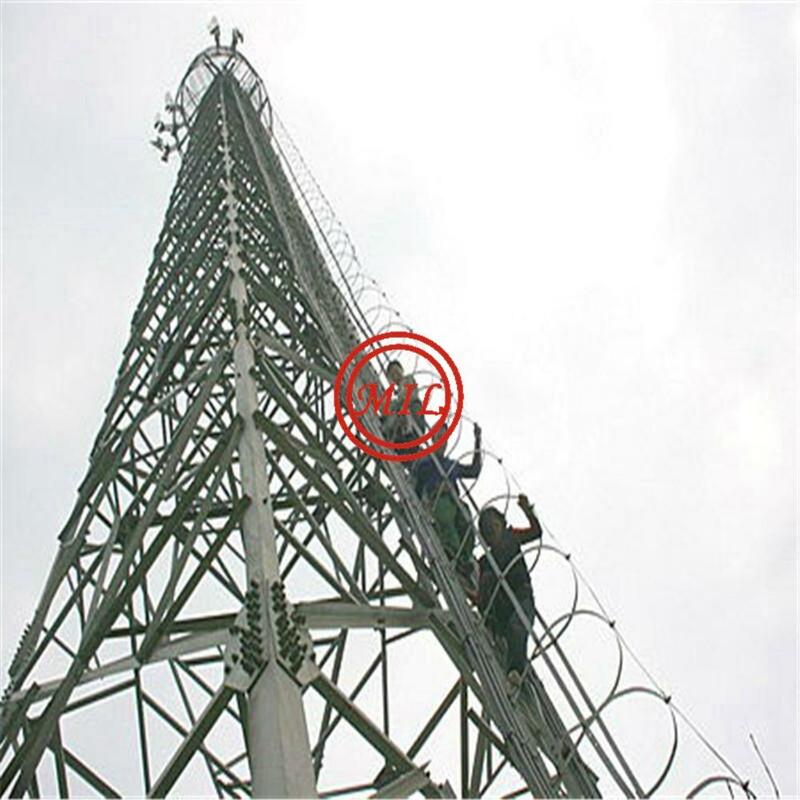 This safety system is mountable to all towers, monopoles, and access ladders. 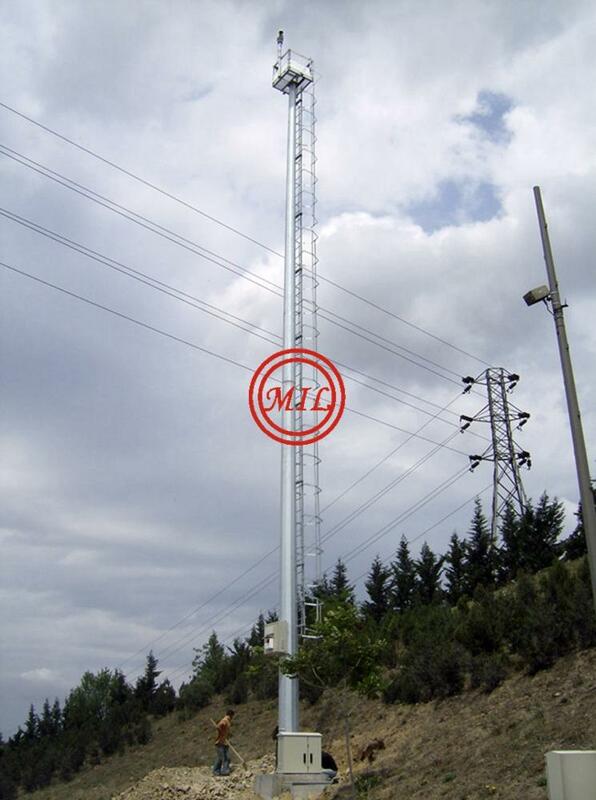 The pole is realized with a galvanized steel shaft and painting for camouflage and decorative purposes.